Preen Line’s Sofia blouse encapsulates the label’s fresh take on femininity. 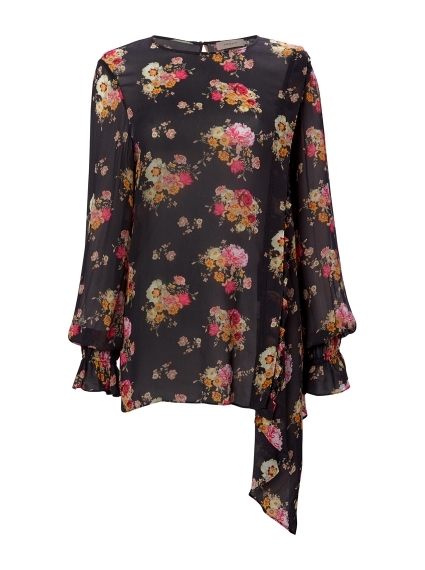 With a vintage inspired floral print, it falls through a loose silhouette that's drawn in by a ruched cuff. Style it tucked into the coordinating Sibyll Skirt or over a pair of black trousers.